Support local businesses and initiatives that support YESS! Donate A Ride is a City of Edmonton charity that purchases transit tickets and distributes them to local social service agencies. We are grateful to be one of the program’s recipient agencies. For more information about supporting the Donate A Ride program and helping youth who are at-risk and experiencing homelessness access the transportation they need to get to places like school, medical appointents, court, and work visit donatearide.ab.ca. Blush Lane Organic Produce was founded in 2004 at the Calgary Farmers’ Market. In 2012 Blush Lane Organic Market in Edmonton opened its doors in the Roots on Whyte Community Building–an ecological, community-focused development in Old Strathcona. Blush Lane Organic Produce cares for their community and is committed to giving back. The Blush Lane Organic Market on Whyte Ave has a dollar-at-the-till program open to all customers, with all proceeds going to YESS. For more information about Blush Lane Organic Produce visit blushlane.com. 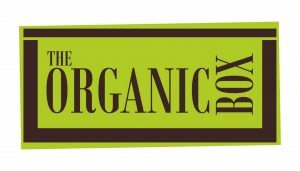 The Organic Box is a family-owned, local business committed to organic and sustainable food choices. They support organic producers providing an economic benefit to their own community. They are committed to supporting their community and have partnered with YESS to provide nutritious food for youth. Members can give 25 cents a week in addition to their subscription costs, with all proceeds going to YESS. For more information on The Organic Box visit theorganicbox.ca. The idea behind Mealshare is simple: buy one meal, give one meal. Working with restaurants and charities across Canada, Mealshare coordinates special menu items with partner restaurants that will raise $1 for every item purchased. These funds are used to purchase ingredients to make meals at one of the partner charities, including YESS. The founders of Mealshare believe that food will get people in the door, and from there partner charities can provide shelter, education, and opportunities for people who really need it. Paws A Sec is one of Equinox Therapeutic’s three non-profit programs. It provides no-charge office-based and canine-assisted mental health therapy services to Edmonton’s youth who are currently receiving support through YESS. Paws a Sec is currently running pet therapy counselling sessions for youth accessing the overnight shelter program. For more information about Equinox Therapeutic visit equinoxtherapeutic.com. The Violet Chocolate Co. is a high-end, award-winning boutique chocolatier founded by Red Seal Chef Rebecca Grant, committed to offering gluten-free, ethically sourced chocolates that are made with local ingredients wherever possible. As a young entrepreneur based in Edmonton, Rebecca chooses to “give where she lives.” She has created a chocolate bar just for YESS, available for purchase at several local farmers markets and at our Whyte Ave building at 9310 82 Avenue. The chocolate bars are $10 and 50% of the proceeds go to YESS. Donate a Car makes car donations simple for both you, and the charity you love. They make used car donations, car removal, car recycling, or simply junking a car an easy process for you. They are honored to manage every donation made, and we are committed to providing exceptional customer service every step of the way. To donate an old car through Donate a Car Canada, visit donatecar.ca.